Our Happy Hour writer picks his favorite sips (and chugs) of the year. What a wild and wacky year in cocktails. It was a year where olive oil and squid ink made it into my drinks. Sea salt — not just on the rim, but in the glass — became a thing. Umami and savory drinks were big, and grapefruit became the new orange. After years of candy-sweet drinks during the pre-cocktail renaissance, bartenders in recent years overcorrected by concocting drinks that were too bitter. But in 2015, we saw a happy medium. We also saw the return of less boozy and less complicated libations. Gone are the overworked, eight-ingredient drinks. Below are the 10 best cocktails I had in 2015, in no particular order. Component post 9868597 could not be found. Jay Kuehner is the most creative bartender in Seattle, taking your palate to weird but wonderful places. 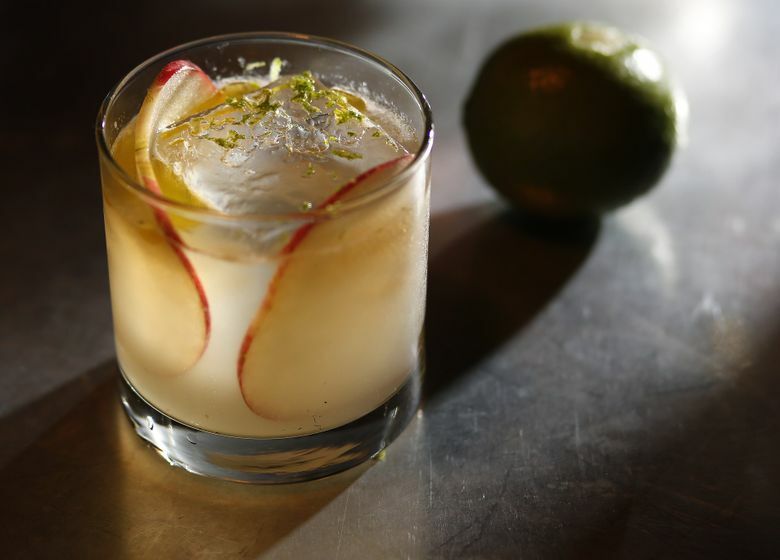 This smoky cocktail pairs mescal with Basque cider, olive oil, muddled apple and ginger, finished with lime zest and sea salt. It’s a vegetal drink, layered with earthy and floral notes. It has an oily texture you would find in a cask-strength whiskey. Calvados cocktails are trendy this season, but they all have that predictable baking-spice profile. Esteemed barman Erik Hakkinen takes it in another direction by adding some caraway notes (Gilka Kümmel liqueur), making a perfect sipper for a cold, damp evening. 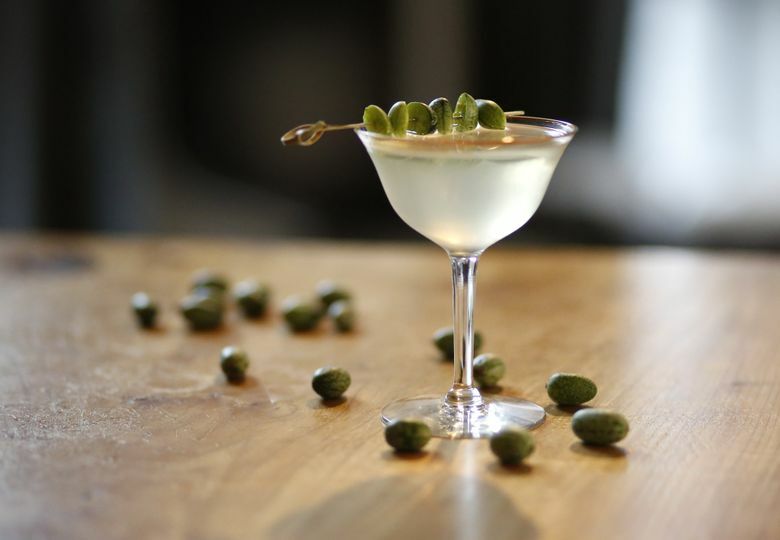 This savory drink by bartender Seth Sempere might be the best cocktail I had in 2015. This aperitif features Copperworks Gin, white vermouth, dry sherry with a brininess from sea salt and a Mexican sour gherkin garnish. The grapefruit bitters round out the ingredients nicely. I’ll take this over a martini any day. I love bartenders who take risks. 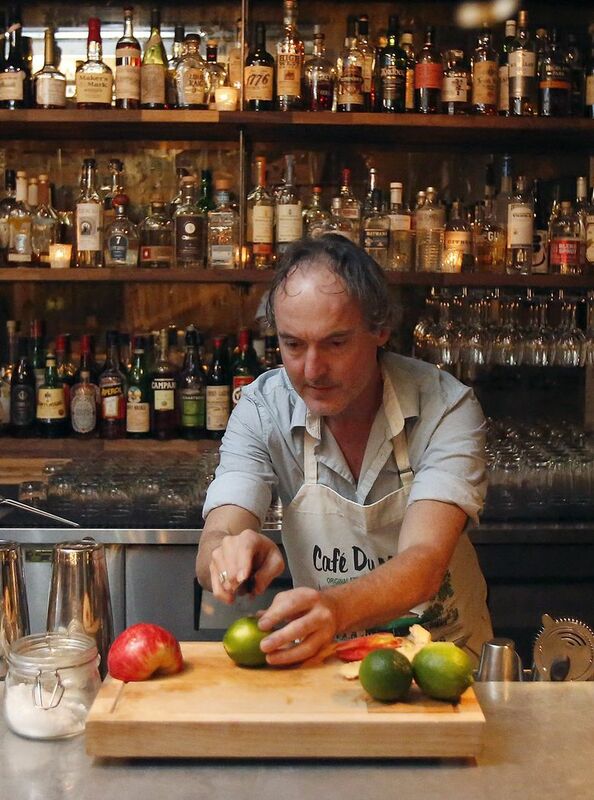 Casey Robison‘s wild tequila drink includes a squirt of squid ink. The amaro, pineapple gum syrup and lemon juice smooth out most of the pungency but leave just enough funk for a subtle, savory note and a distinctive flavor profile. When have you ever had the South American brandy pisco in a cocktail other than a Pisco sour? Artusi’s Connor O’Brien offers this elegant, aromatic pisco drink with bitter Kina liqueur, the grapefruit Pamplemousse liqueur and lemon. On the nose, it’s citrusy, hinting it may be a sweet summer libation. Instead, it tastes pleasantly crisp and dry. This is the year of the daiquiri, and bartenders are falling all over themselves trying to tweak or improve this classic drink. This is the best take. The pineapple in the Stiggins rum plays well with the yellow chartreuse to give off herbaceous, honey and tropical notes that linger. But it still has the backbone of a daiquiri with tartness from the fresh-squeezed lime. This is a take on the trendy tiki drink the Jungle Bird. It’s essentially a dry grapefruit cocktail with the sugar-cane cachaça dialing in the bitter notes. There’s Don’s Mix and aperol. But the secret ingredient is the citrusy French bitter, Amère Sauvage, which makes this tropical drink sing. I’ve seen many more patrons ordering micheladas during brunch this year. Sort of like a beer Bloody Mary, this cocktail usually features Mexican beer, hot sauce, Worcestershire and tomato or Clamato juice. Many bartenders soup it up with Maggi seasoning or chicken bouillon for a burst of umami. No one, though, does micheladas better than Mezcaleria Oaxaca. The exact recipe is a well-guarded secret, but I do know it’s a mixture of tomato juice, lime juice and a blend of secret spices with a medley of hot sauces. It’s served with a tamarind-candy-coated straw to balance the lingering heat you get at the back of the throat. Stiegl Radler grapefruit beer is popular among bartenders and line cooks. You couldn’t barhop around Capitol Hill this summer without seeing two or three cocktail variations made with this fruity brew. Bartender Jim Romdall gets the nod for the best take, mixing this low-alcohol beer with a funky Jamaica rum and smoky mescal. But the magic is that it’s still refreshing — the grapefruit-flavored Pamplemousse liqueur and lime cut into the high proof to make this drink go down easy. 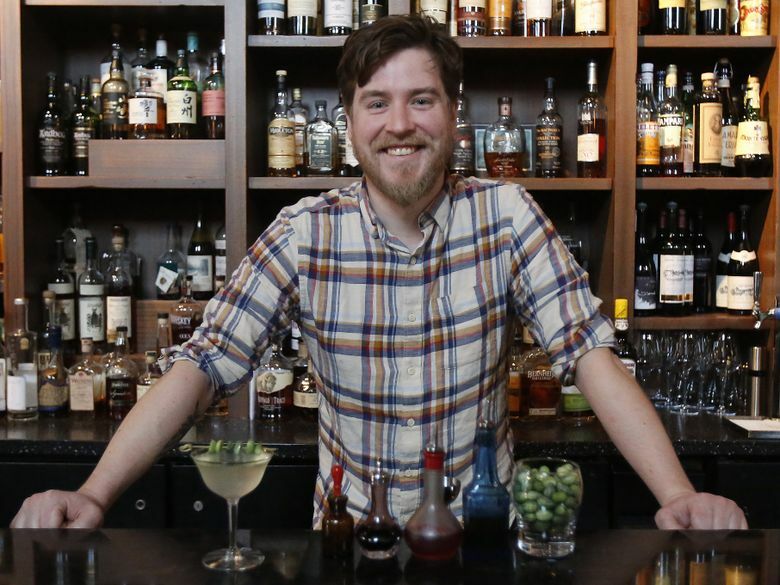 Barman Erik Carlson makes the best whiskey sours in Seattle. This is his nod to Georgia — a boozy, wintry drink with big peach flavors. It’s a mixture of spicy rye and rum, sweetened with maple syrup and rounded out with lemon and his homemade peach bitters. The egg white provides a lush, foamy texture.